I pulled out half of my tomato plants today. The other plants are still producing so I left them for now. 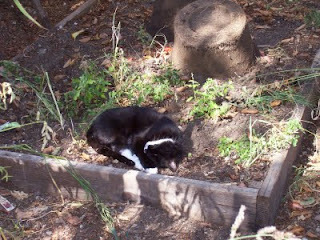 Luna immediately took advantage of the situation by sleeping in the soft dirt where the tomatoes had been.